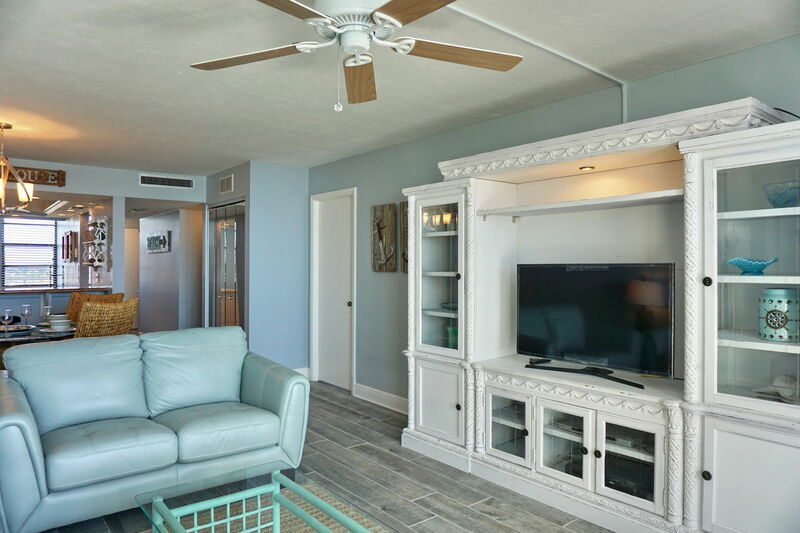 This 10th floor 2 bedroom/2 bathroom condo is newly remodeled and ready for your Florida Get Away! 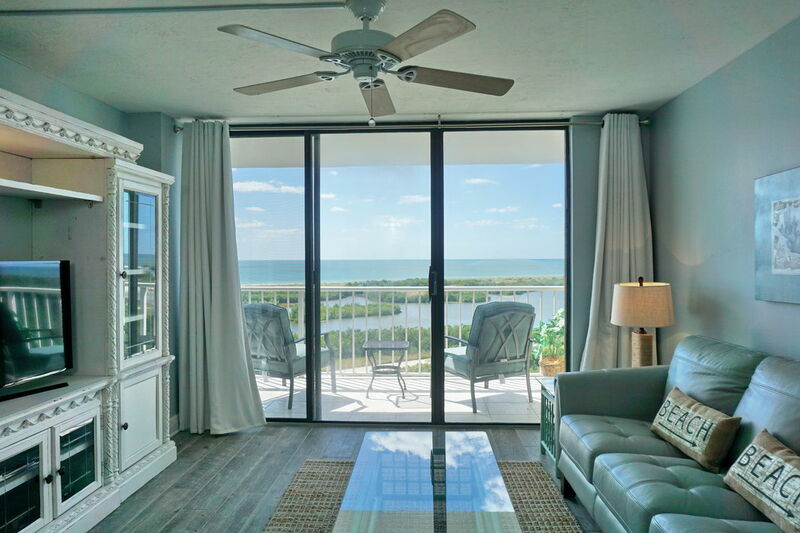 Located directly on the water, this condo has prime access to the entrance of Tigertail Beach on the Gulf of Mexico with a spectacular view. 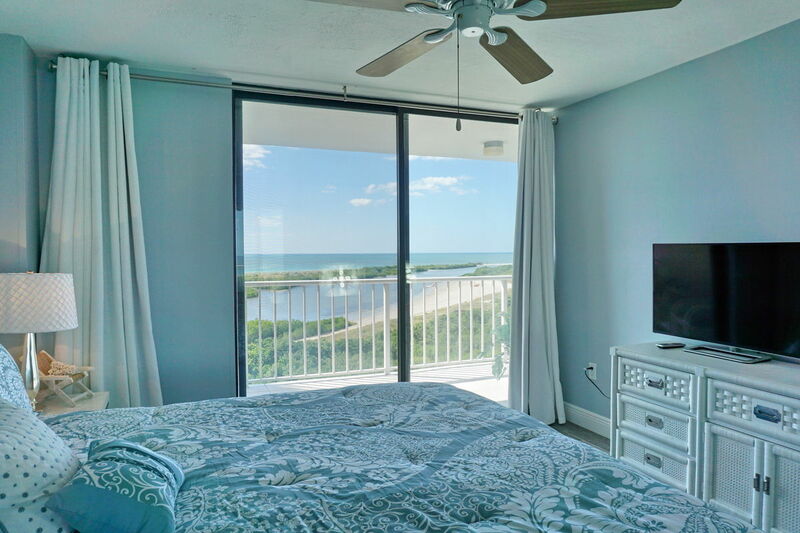 Enjoy Florida's wildlife from your balcony, or watch the colorful sunsets across the water. 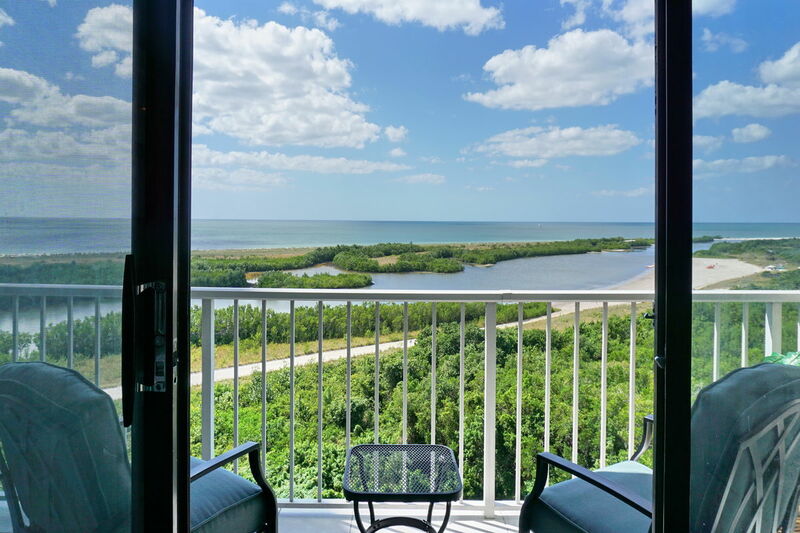 The condo can be found in Tower 4 of the 55 acre gated community of South Seas Club, with an available community pool and tennis courts. 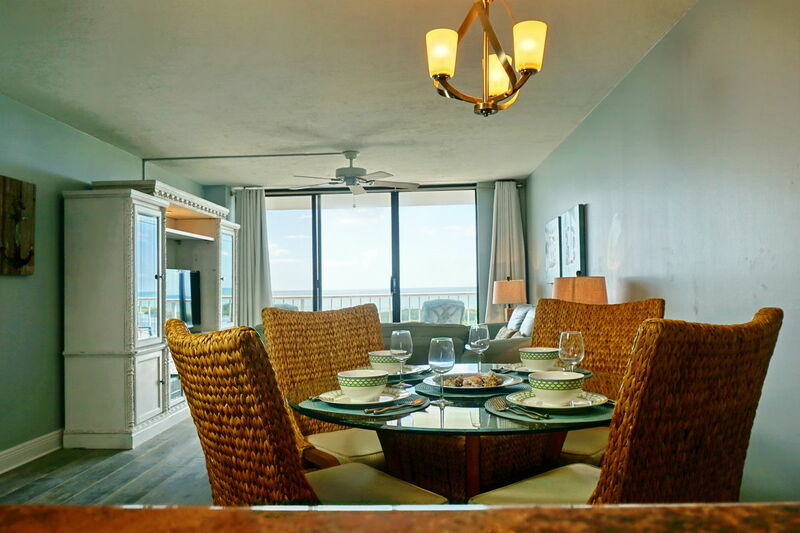 Perfect for a relaxing week with loved ones on Marco Island! 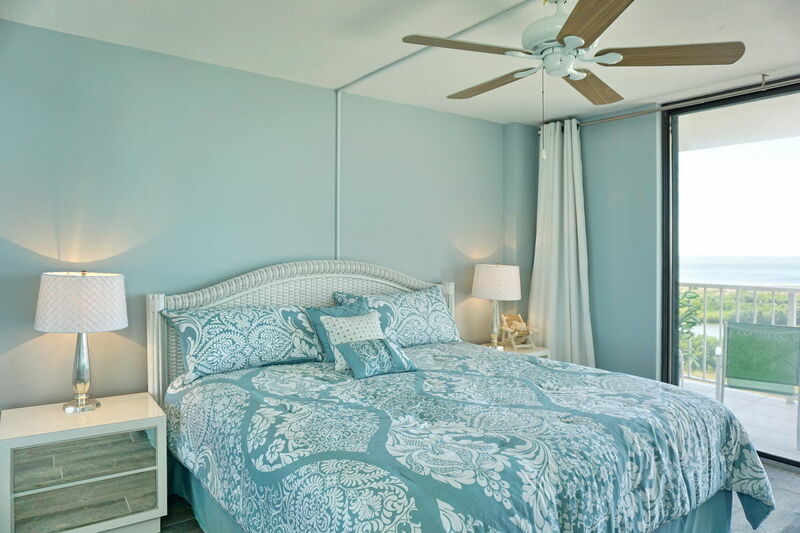 With a beach theme throughout, this condo is tastefully decorated and has brand new furniture for you to enjoy. 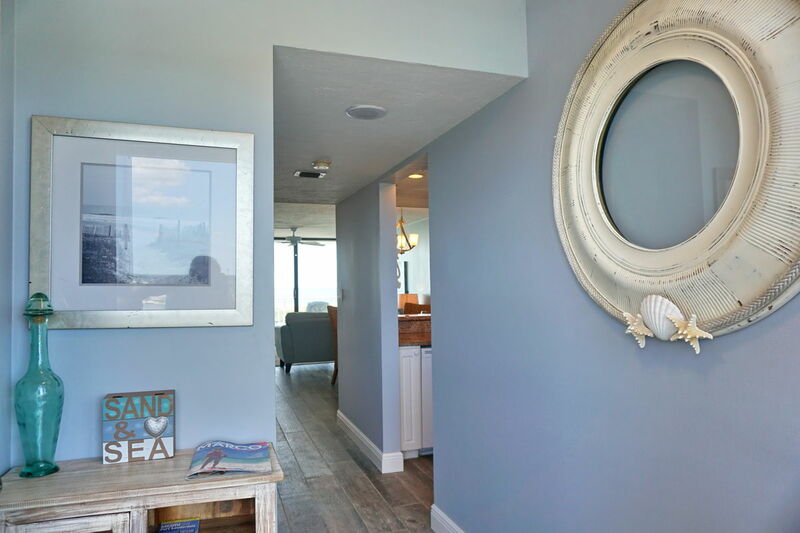 As you enter, you immediately immersed with water views and a welcoming ocean feeling. 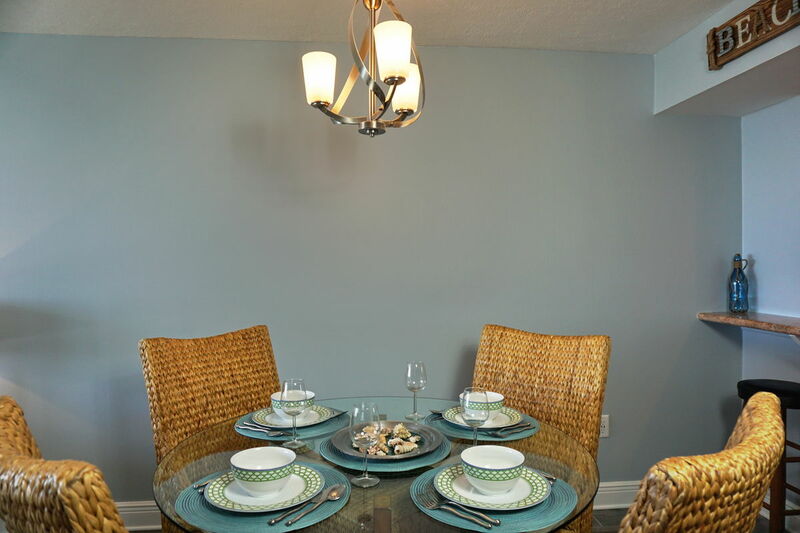 The kitchen is fully equipped and perfect for preparing meals together to dine at the formal dining table, over looking the water with seating for 4; or utilize the breakfast bar with seating for 3. 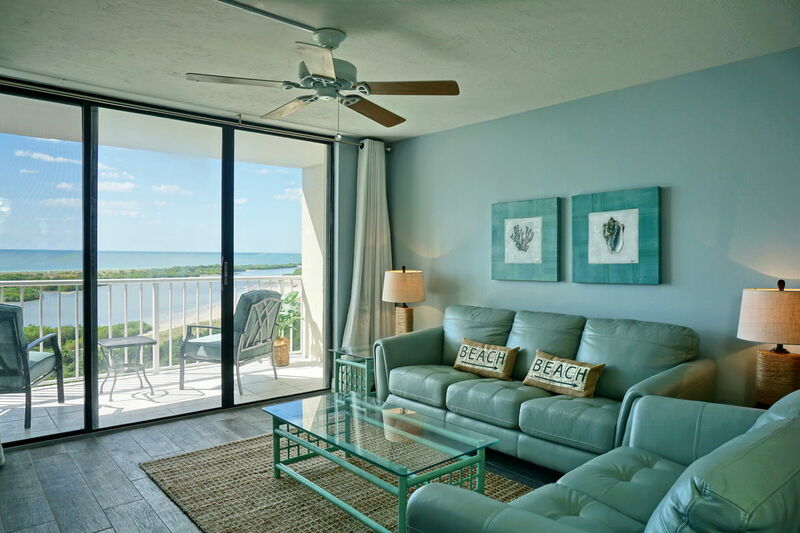 Relax with a breathtaking water view from the living area with plenty of comfortable couches and a flat screen TV. 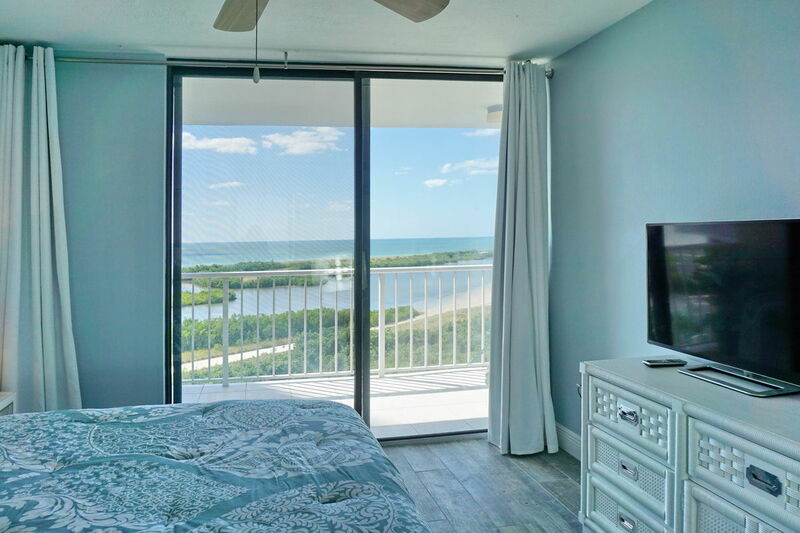 The master bedroom boasts a California King size bed, a fabulous water view and balcony access, as well as a private full bathroom and flat screen TV. 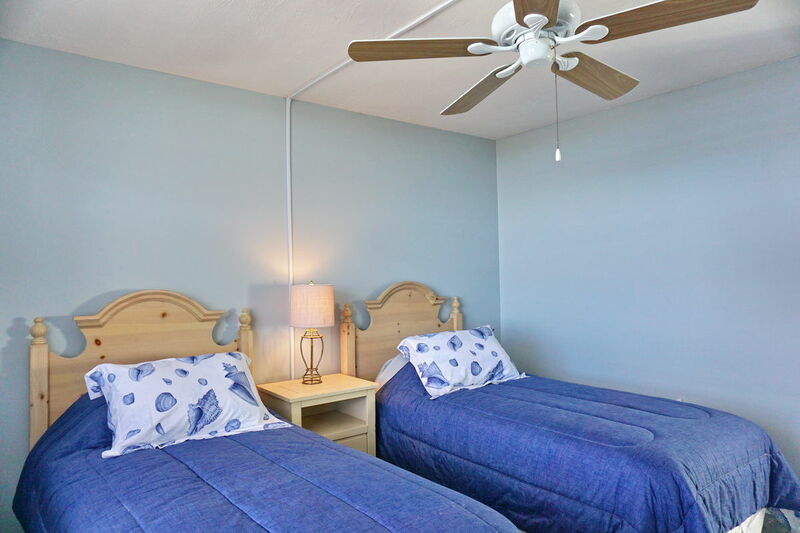 The guest bedroom offers two twin size beds, a water view and a private full bathroom. Venturing out to the balcony, there is seating for 4 to lounge and take in the unique Florida atmosphere. 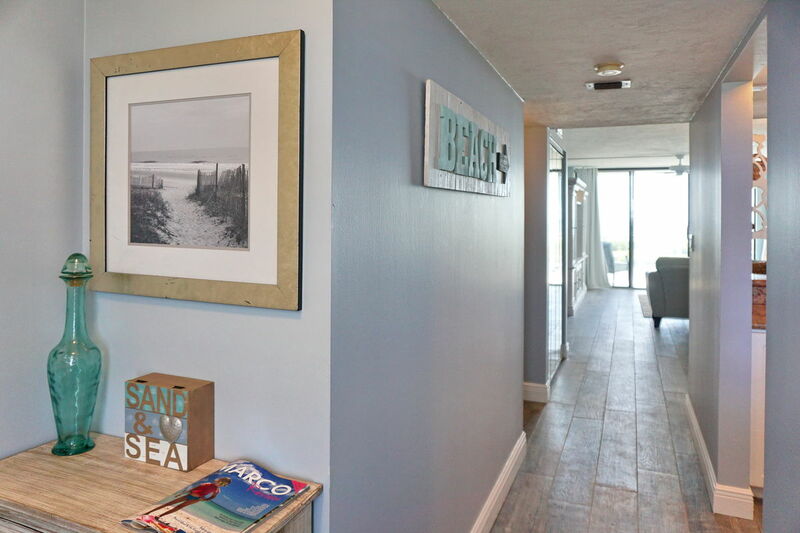 The condo provides plenty of beach chairs & towels if you decide to stroll down and get your feet wet! 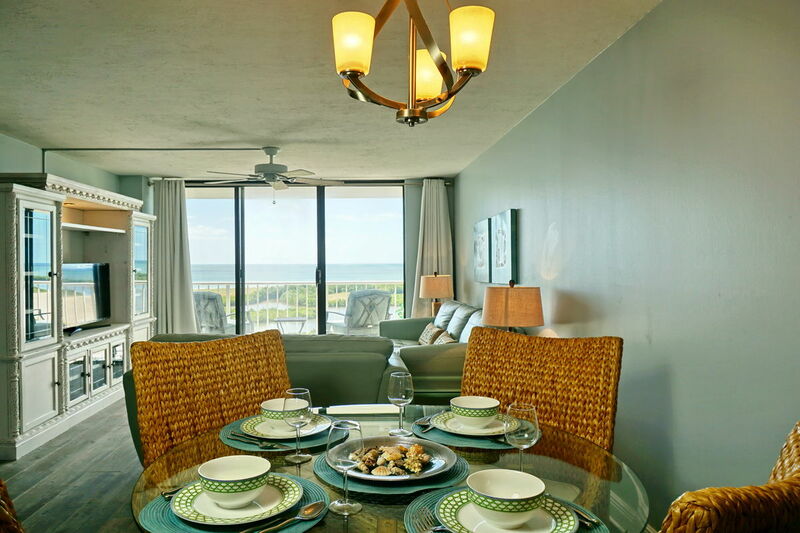 I stayed in this condo with my wife over the holidays to have a relaxing vacation. 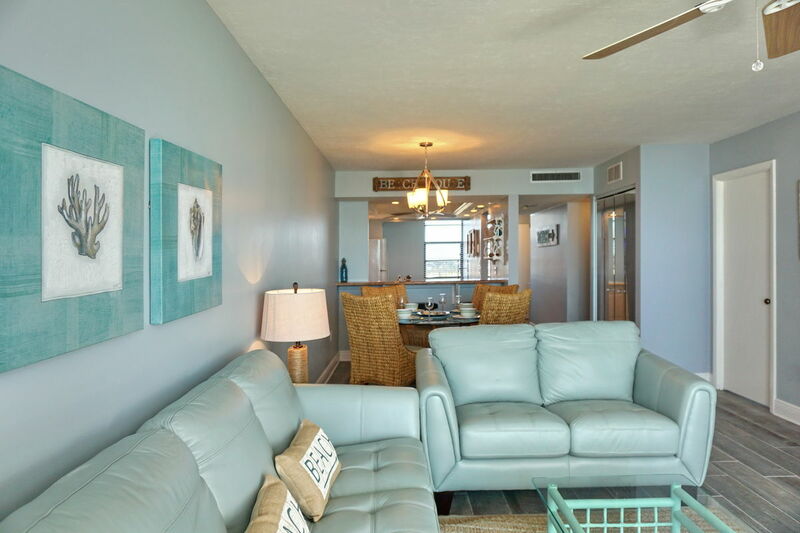 The condo is more spacious than the pictures show. 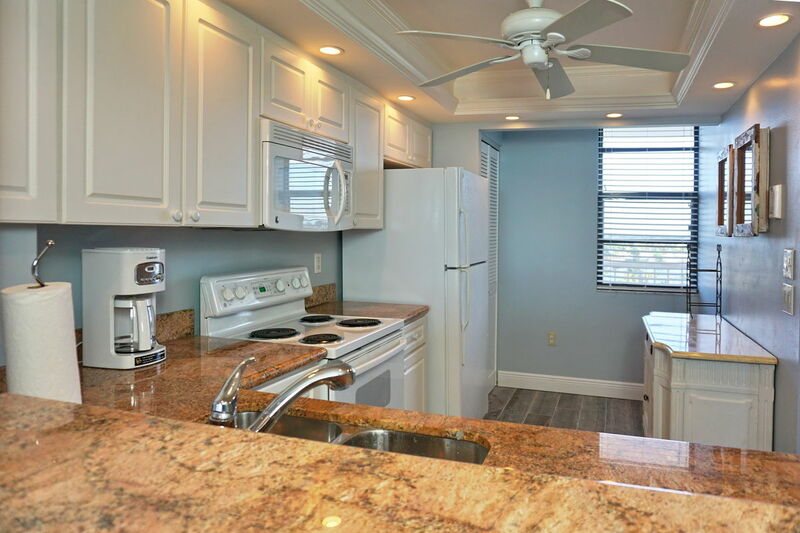 We enjoyed making breakfast in the upgraded kitchen and eating overlooking Tiger Tail beach! The kitchen is fully stocked with all the cooking utensils we needed and the grocery store is a 15 minute walk or 5 minute drive away. We bought fresh grouper (a Marco Island classic) at Lee Be Fish, prepared it at the condo and it was delicious! The king size bed was comfortable and it was such a treat to wake up to waterfront views. Every night we sat on our patio and watched the breathtaking sunset. 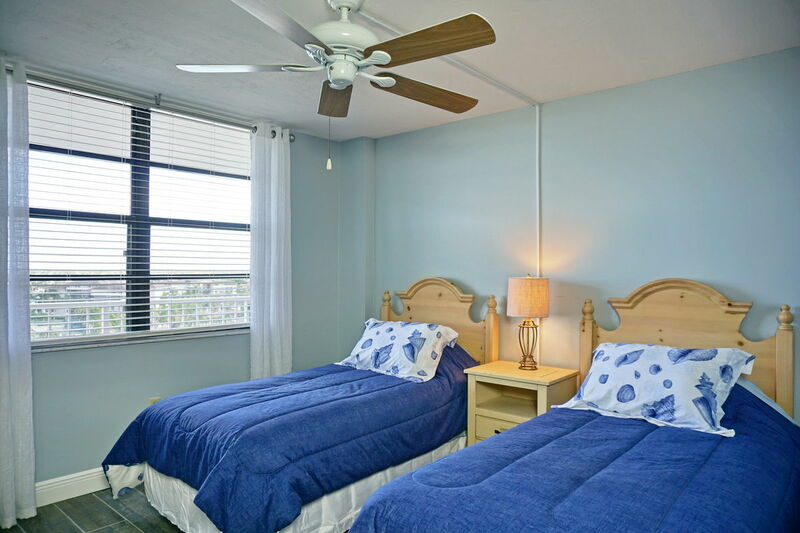 We used the tennis courts in the condo complex and the landlords supplied tennis rackets in the closet which was perfect! If you are interested in playing tennis, you will need to pay $20 per court before noon, but any time after 2pm is free! There was also shuffle board, bocce ball, and pickle ball available to use. 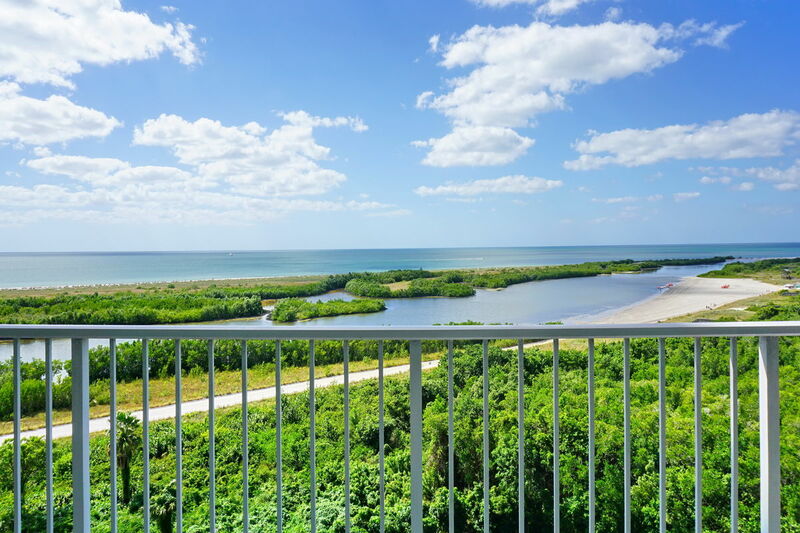 We loved going to Tiger tail beach as there is access through the condo. The condo is also walking access to Joey's (delicious pizza) and Doreen's Cup of Joe (perfect brunch). If you want to have a night out, Snook Inn is on the water and their happy hour starts at 10pm and using the free cab service through ACARR. We also enjoyed going to the farmer's market on Wednesday morning for fresh produce and artisan crafts. This is the perfect spot for a vacation! From the moment we stepped through the door we knew we had picked the perfect place for our vacation. 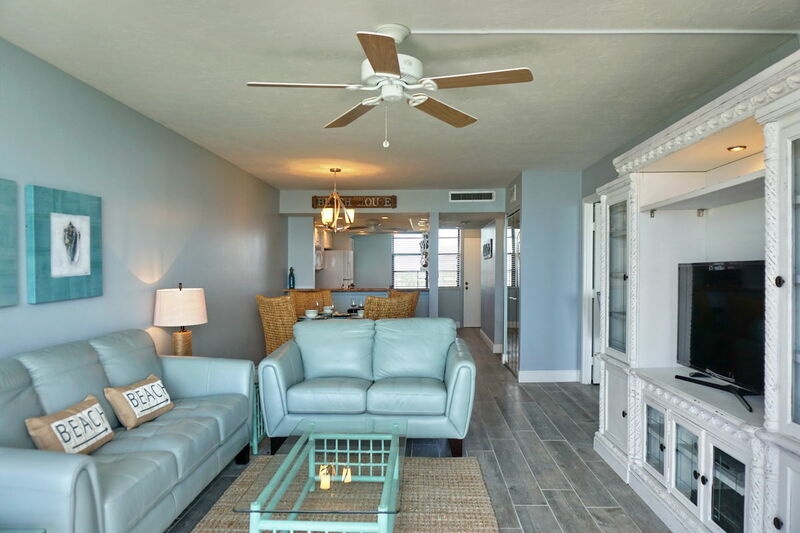 It's paradise, the view is spectacular, the unit itself offers everything you could possibly need, it is bright, newly renovated, clean and provides a fully stocked kitchen of dishes, pots & pans, and appliances. 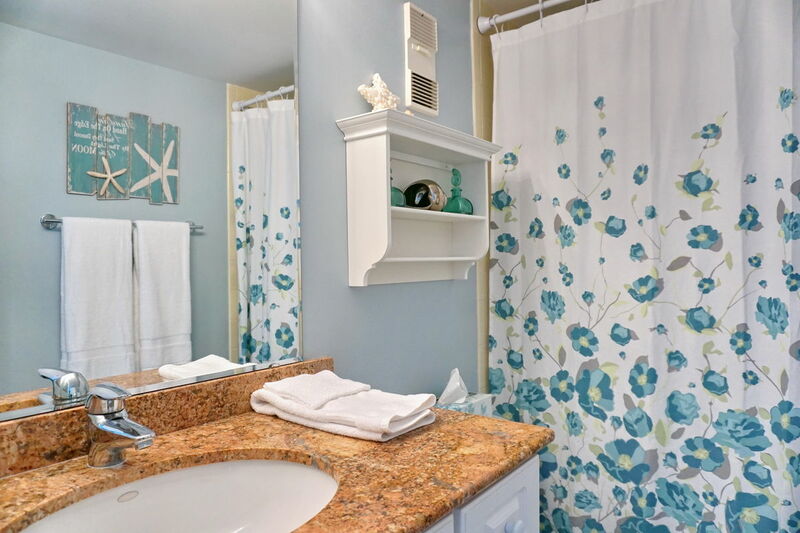 The grounds are landscaped to perfection and Tiger Tail beach is just steps from the property. 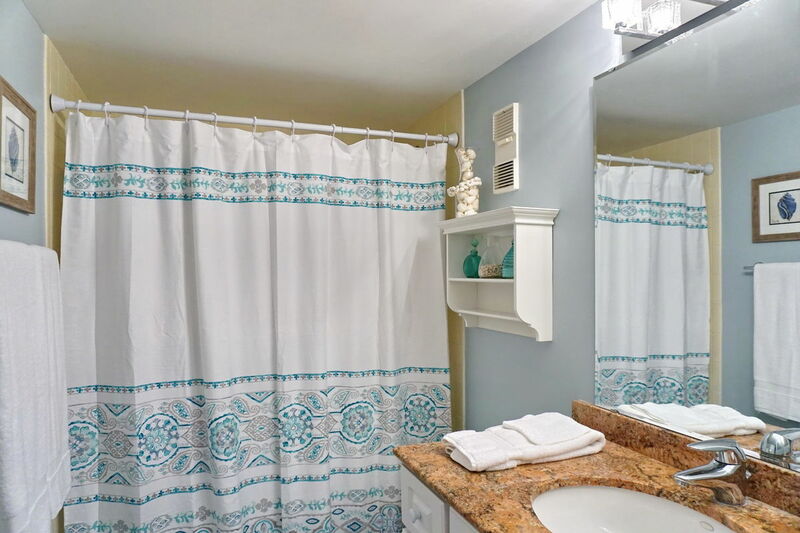 This is the perfect location on the island, just minutes from many fabulous restaurants, convenient to grocery and liquor stores. 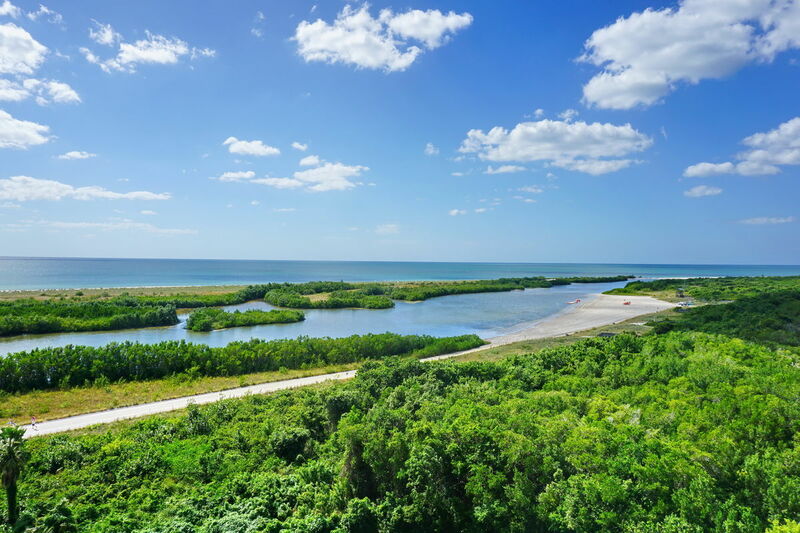 We took a day to visit the Everglades, ventured on a boat ride to see the white pelicans, manatees and experienced the excitement of having a large pod of dolphins come right up to the side of the boat. Smallwood museum and boat tour on Chokoloskee Island is a must see. Just 45 minutes from Naples, a great trip for shopping, Old Naples offers a selection of fine dining, 5th Ave provides all types of stores, galleries and restaurants. Free parking in covered garages at 5th and 8th, a real surprise in a tourist area. 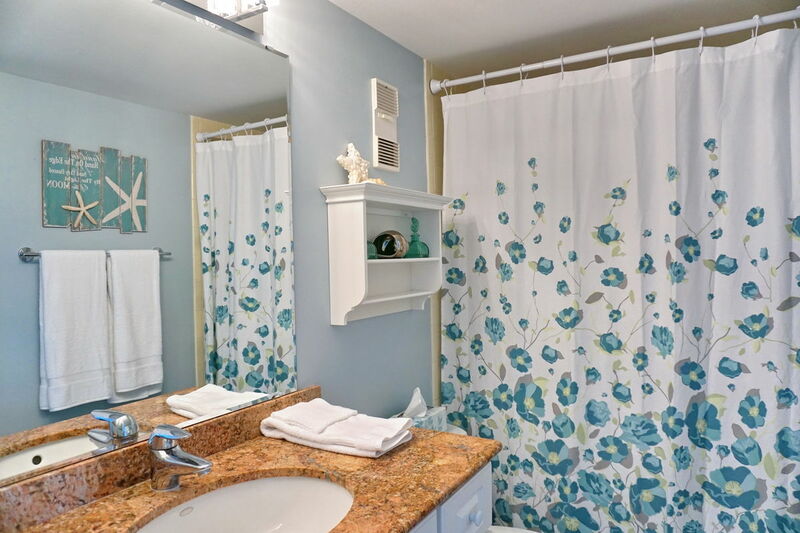 Just outside the grounds of the condo is a short walk to Crescent Beach, 6 miles of white sandy beaches. 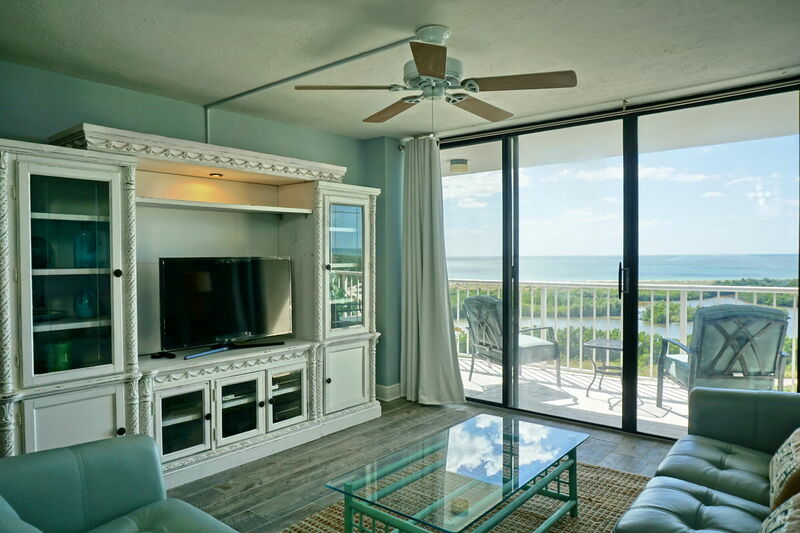 This beach offers great shelling opportunities for those who want to stroll the beach, or take the beach chairs provided by the condo and enjoy sitting on the waters edge. A few of the restaurants we visited are Tokyo Inn, best hibachi cooking table, excellent service and excellent food. Joey's Pizziera, either eat in or take out. Snook Inn, outside dining beside the Marco River. Crazy Flamingo, CJ's on the Bay in the Espanade offers live entertainment on Thursday nights. Jackies at the Marco Town Center Mall is great take out Chinese food at very reasonable prices and Michelbobs has the best BBQ baby back ribs in town. We certainly hope that we have the opportunity it's to return next year, there are still so many sites to see. 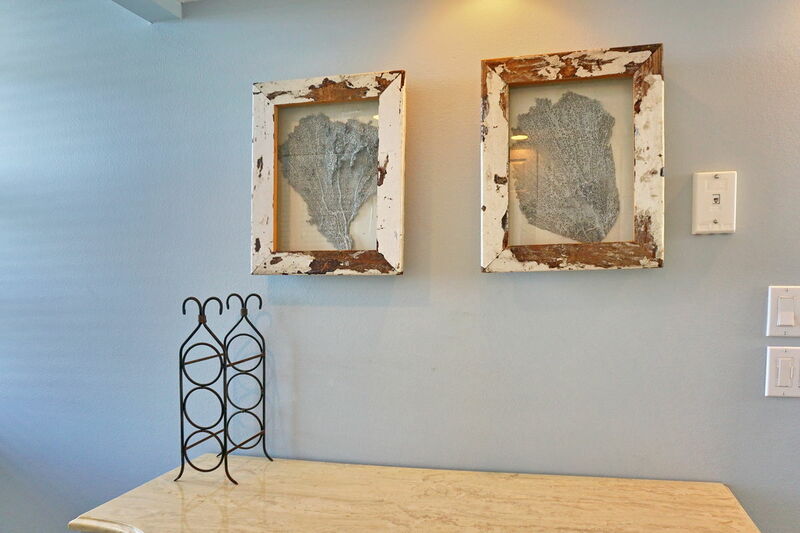 Enjoyed the beachy décor theme of the condo. It worked great for our 2 week stay.